Back in April, just a few weeks after Furious 7 was released in theaters, Universal Pictures set an April 14, 2017 release date for the sequel Fast & Furious 8. We already know that Vin Diesel and Dwayne Johnson will be back as Dom and Hobbs, but no other characters have been confirmed, until now. While speaking to Access Hollywood recently, Furious 7 star Jason Statham confirmed he'll be back as Deckard Shaw. "We're already talking about doing another one, Part 8. I'm a newcomer, I just got invited to the party in this last one, so it's nice to know I'm going to be doing another." Jason Statham first appeared at the end of 2013's Fast & Furious 6, where it was revealed that he killed Sung Kang's character Han, setting him up as the main villain in Furious 7. Along with Vin Diesel, Dwayne Johnson and Jason Statham, it is believed that Kurt Russell's Mr. Nobody will also be back for the follow-up. Furious 7's original ending was intended to set up Mr. Nobody for the sequel, but after the death of Paul Walker, they changed it to honor their late co-star. Furious 7 director James Wan isn't expected to direct this sequel, since he is filming The Conjuring 2 later this year and then prepping to shoot Aquaman for a 2018 release. It isn't known who will write or direct the sequel yet, but we'll be sure to keep you posted as more information comes in. 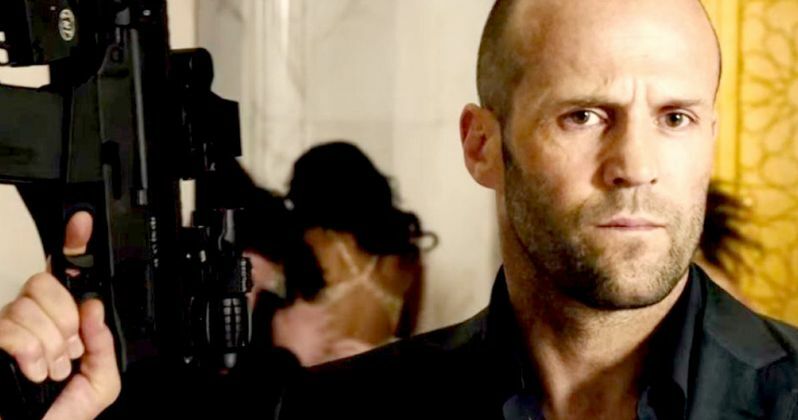 Are you glad that Deckard Shaw is coming back for Fast & Furious 8?